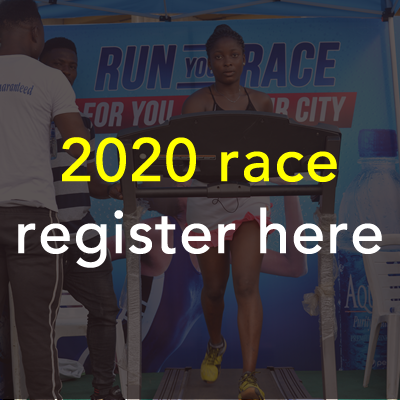 The Access Bank Lagos City Marathon may be months and many training miles away but as far as your diet is concerned, the preparations for race day can start now. The good news is that you probably won’t have to make drastic changes to your current eating habits; there is no need to buy expensive supplements or special foods. As you embark on your training programme you should take stock of your current diet habits. Remember that food is the fuel that will help to ensure your body makes it through the miles of training in the months ahead. Flunk on your diet and fluid intake and you risk feeling tired and run-down. Use this checklist to make sure you are giving yourself the right start. You should aim to get around 60 per cent of all your daily calories from foods which are high in carbohydrate including bread, pasta, potatoes, rice, beans, lentils, fruits and vegetables. Unlike protein and fat, carbohydrate is stored in your muscles so that it is readily available for energy when you are running. Research shows that most athletes tend to perform better if they eat smaller, high carbohydrate meals more often rather than three square meals a day. Experiment to find an eating pattern that suits your running. Should You Be Eating Before You Run? Some runners claim to perform perfectly well on an empty stomach, but it is fair to say that most of the scientific evidence is against them. Eating 2-4 hours before you exercise means that some of the gastric juices in your stomach will be absorbed, leaving you feeling less hungry when you set off. Water is a vital part of your diet. It helps get rid of heat through the skin by sweating, it enables your body to get rid of waste products and toxins and also helps to transport glucose in the blood to your muscles so that you can exercise. As a runner you need more than the eight glasses of water recommended for people who do no exercise. Try sipping on water throughout the day and eat plenty of high water-content foods such as tomatoes, soups and cucumber. As race day gets closer, you should also begin to fine-tune some aspects of your diet. In the 2-3 months before the marathon, you need to develop an eating plan geared specifically towards enhancing your performance. Research has shown that the ideal meal to eat on the morning of a race should be high in carbohydrate with a little low-fat protein to make it more digestible. Something like lightly scrambled egg on toast is ideal. But ultimately it is a matter of personal choice and you should be trying out as many pre-run meals as possible in training. If you are planning to use the on-course sports drink, during the marathon, it is vital that you practice with various products during training. Are you dehydrated? A dehydrated runner will end up going nowhere fast and it doesn’t happen only on hot days. Dehydration can be the cumulative effect of drinking too little. A simple way to test if you are drinking enough is to check the colour of your urine. If it is bright yellow, it may have become concentrated with metabolic wastes because you aren’t drinking enough. A few days before the race and there is still plenty to do. You should concentrate on eating a high carbohydrate diet so that your muscles are constantly re-fuelled. And there are other rules too. Don’t try anything new. If you are handed free samples of snacks when you go to collect your number from the exhibition, save them until after the race. You may find that they cause gastro-intestinal upset. There are no hard and fast rules here, only to leave enough time for your pre-race meal to digest so that you don’t feel uncomfortably full. In general a large meal takes around four hours to digest, a smaller meal up to two hours. Do not be tempted by a hotel breakfast or try anything new at this stage. Drink plenty of fluids in the 2-3 hours before you start and a small cup of water about ten minutes before the gun goes. Drinking tea or coffee will not harm your performance but bear in mind that both contain caffeine, a diuretic, and should therefore be drunk in moderation. Avoid alcohol which can promote dehydration and fizzy drinks which can cause bloating. So You Think It’s All Over? What you eat and drink after the marathon influences how quickly you recover. Try fresh fruit juice which will supply carbohydrate, fluid and electrolytes or body salts – dilute with water if it tastes too acidic. Water will replace fluids as well as any commercial drink. As a guideline you should aim to eat 0.5 grams of carbohydrate for every pound of body weight 2-3 hours after you finish to top up your depleted glycogen stores. Yes, you deserve it! A hard race will deplete your body’s stores of glycogen and your muscles will need at least two days rest coupled with lots of carbohydrate foods. This, of course, means you have plenty of time too.